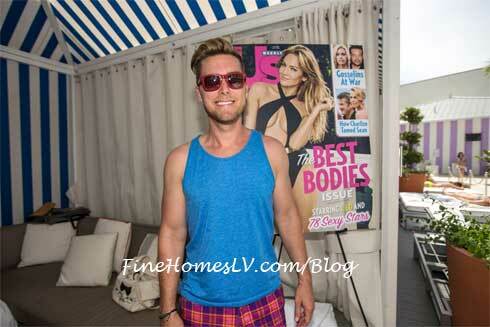 Former *NSYNC member Lance Bass hosted a hot Us Weekly Party at Foxtail Pool Club inside SLS Las Vegas to celebrating the magazine’s new ‘Hot Bodies’ issue Saturday, May 30, 2015. Relax poolside in a luxury private cabana for the ultimate relaxation at the Four Seasons Hotel Las Vegas continues to raise the bar for luxury on the Las Vegas Strip. The eight private cabanas, some of which offer stunning pool and waterfall views, are available for full-day rentals, from 9 am to 5 pm, subject to availability. The new pool and cabanas will open on March 9, 2015.